for $154,900 with 3 bedrooms and 2 full baths. This 1,372 square foot home was built in 1994 on a lot size of 0.21 Acre(s). 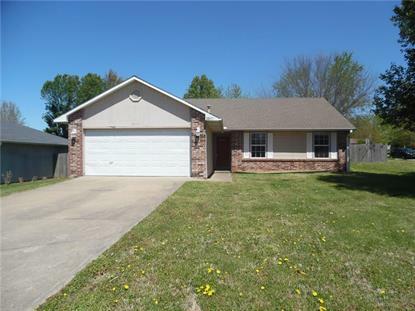 Nice 3 BD/2BA home conveniently located in West Fayetteville. Close to I-49 and U of A Campus. Home sits on a corner lot with a fully fenced backyard. Home has brand new carpet and paint. Kitchen has tons of counter space and ample cabinetry. Living Room has a cozy wood burning fireplace with tile wood like flooring. Two car garage and covered patio for outdoor entertaining. Come see today!